SylK's Playground: Why would you wear a wetsuit that looks like a business suit?! 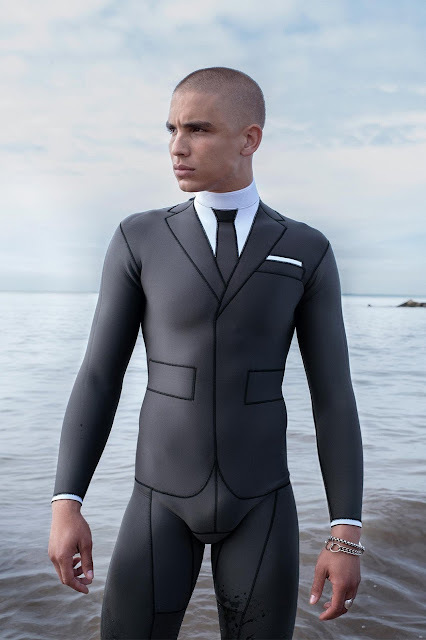 Why would you wear a wetsuit that looks like a business suit?! If you have a very good reason, go and buy the Thom Browne trompe l'oeil wetsuits. Just thinking ... shall I start a YouTube Channel? Uhm ... no, I don't think so.